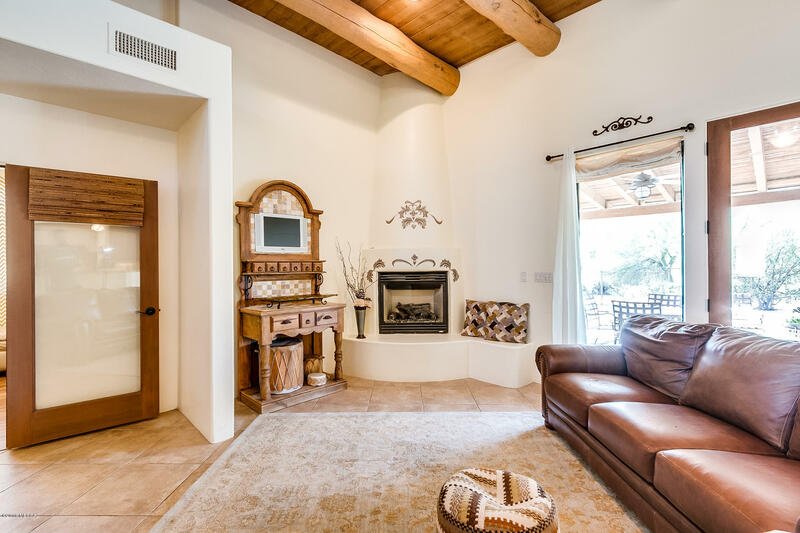 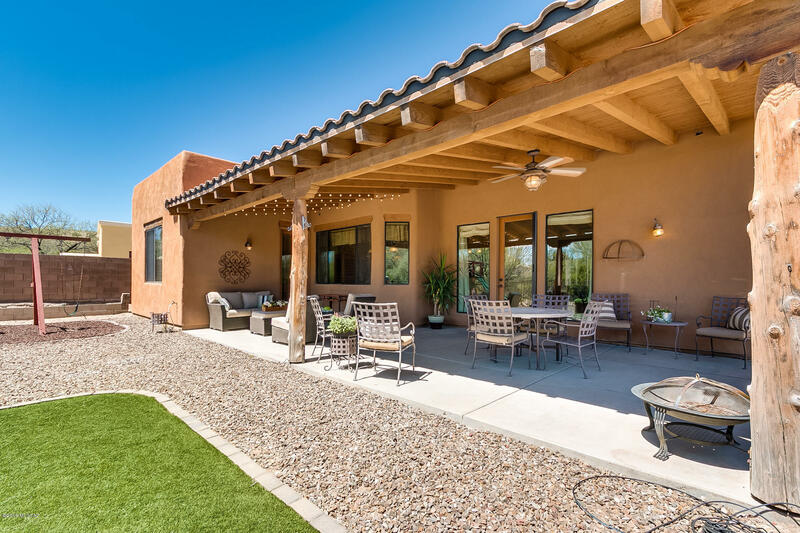 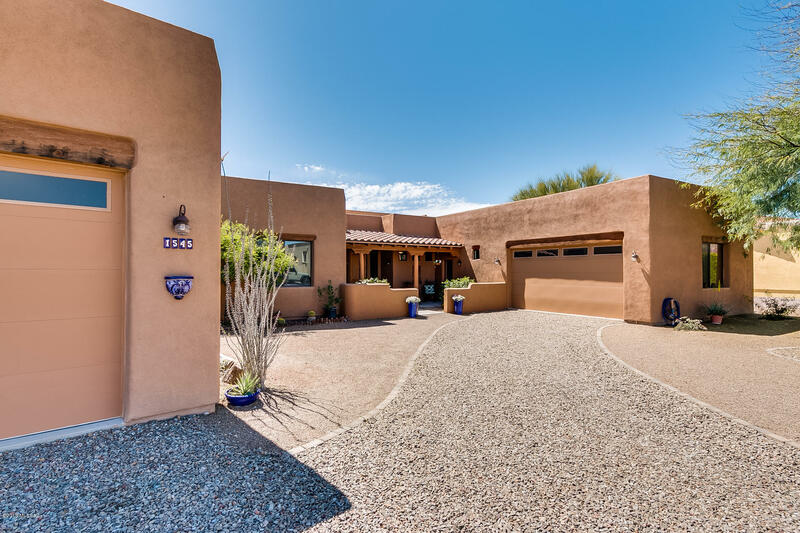 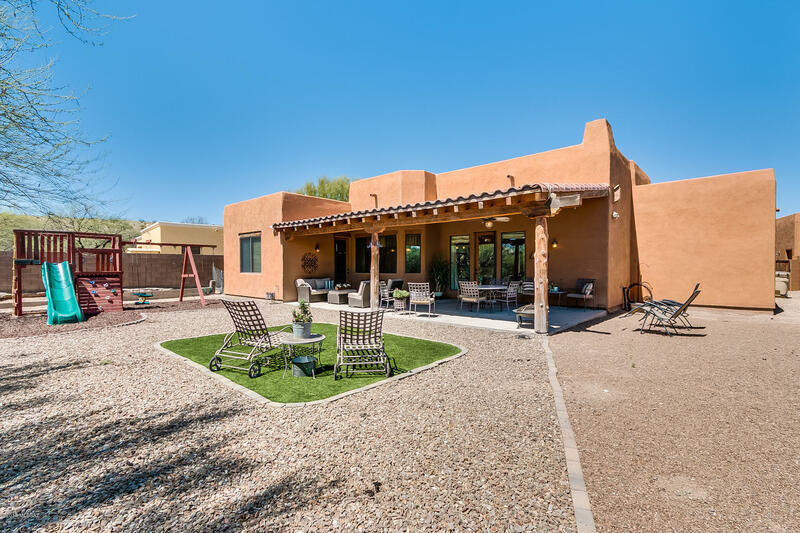 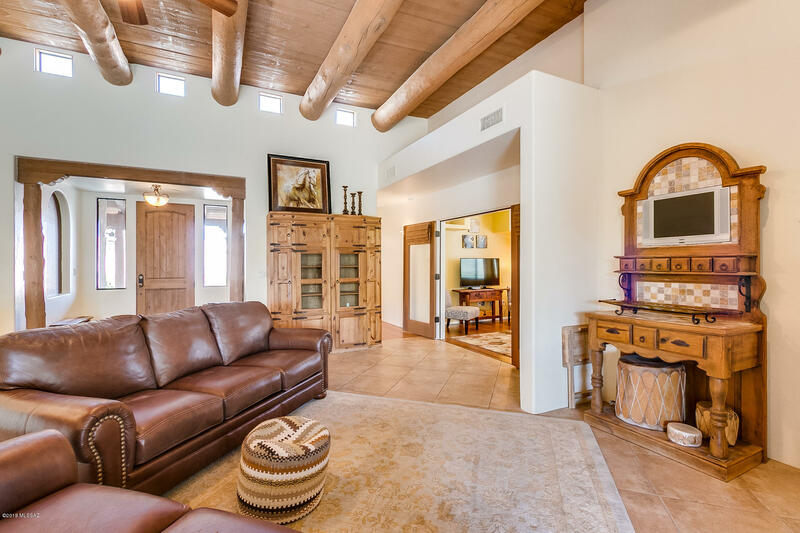 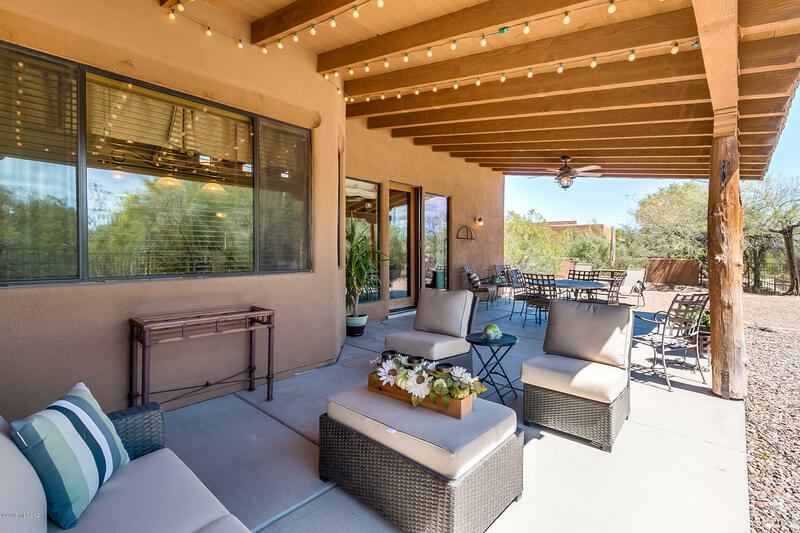 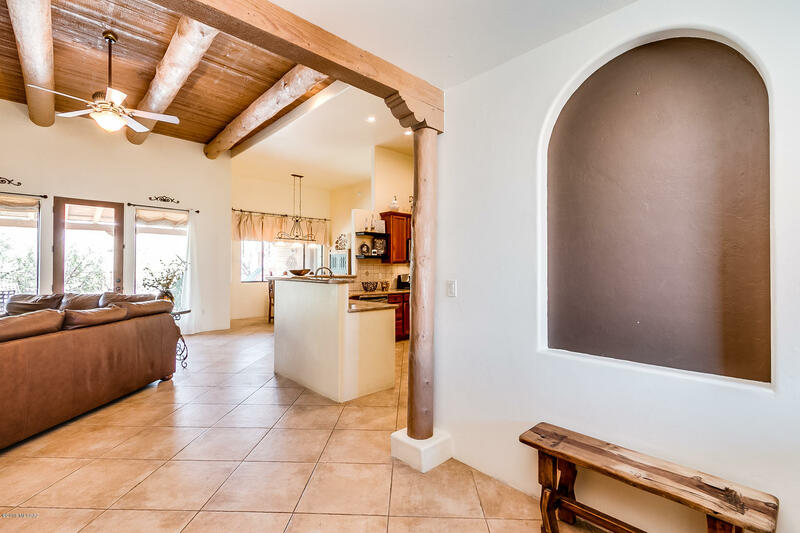 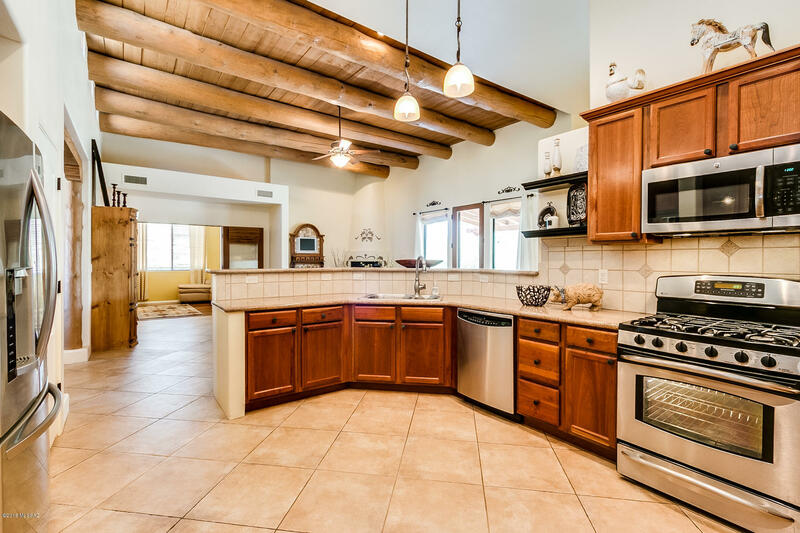 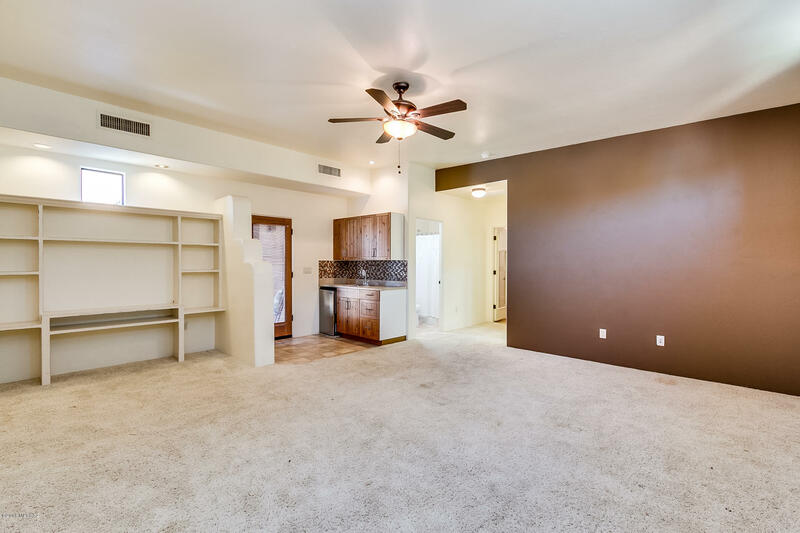 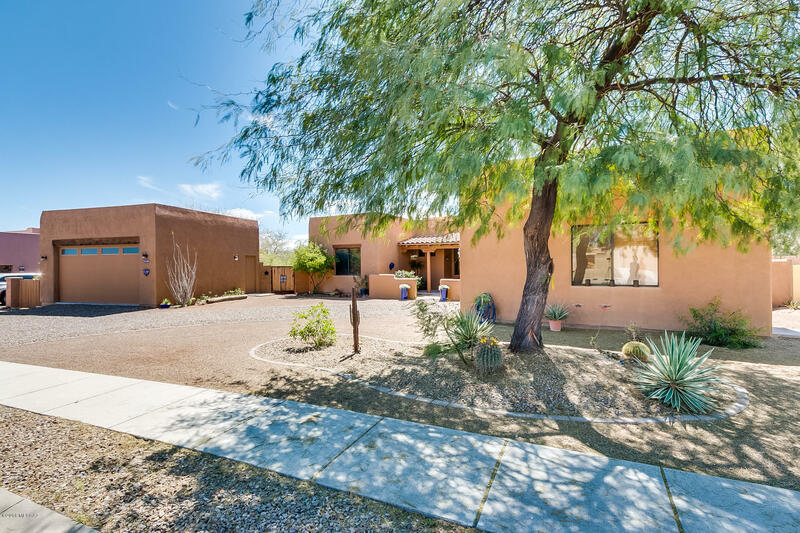 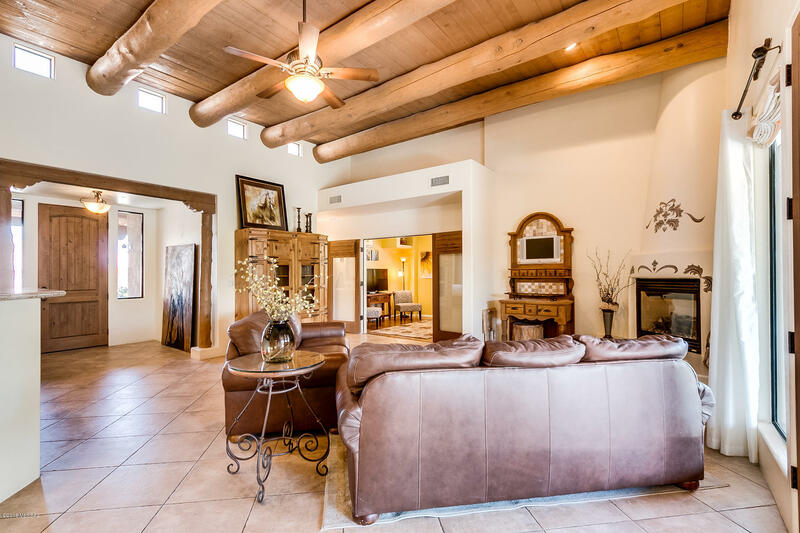 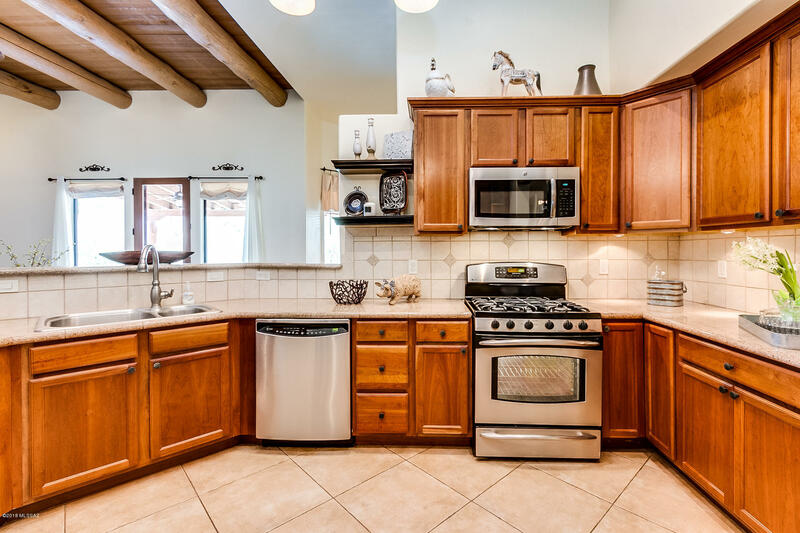 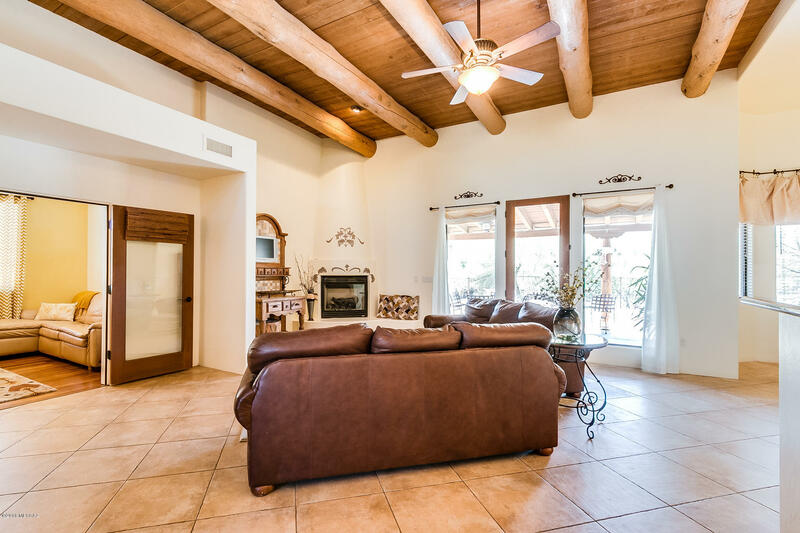 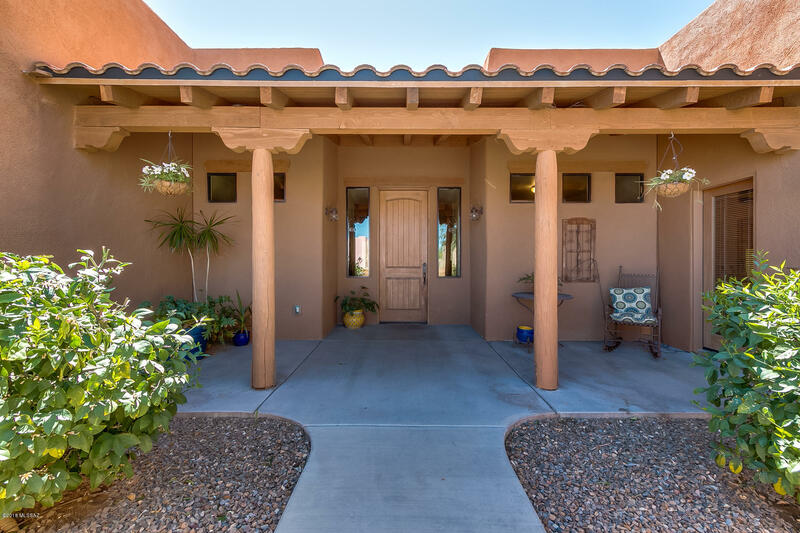 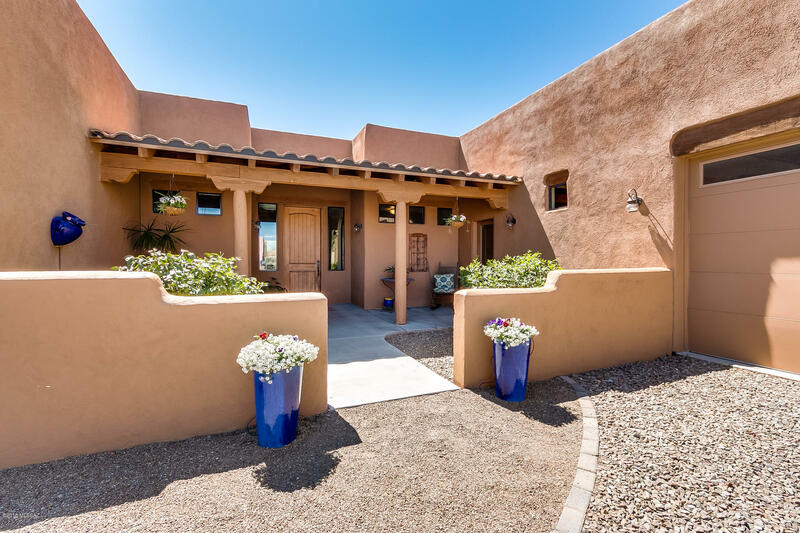 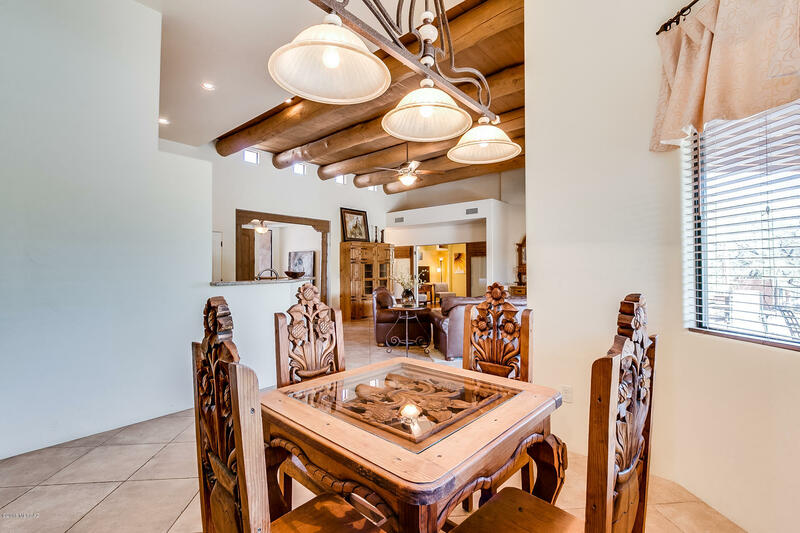 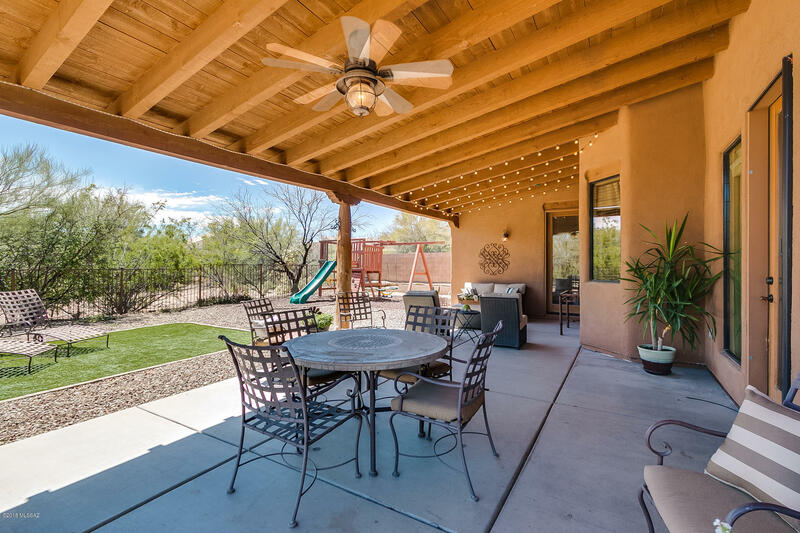 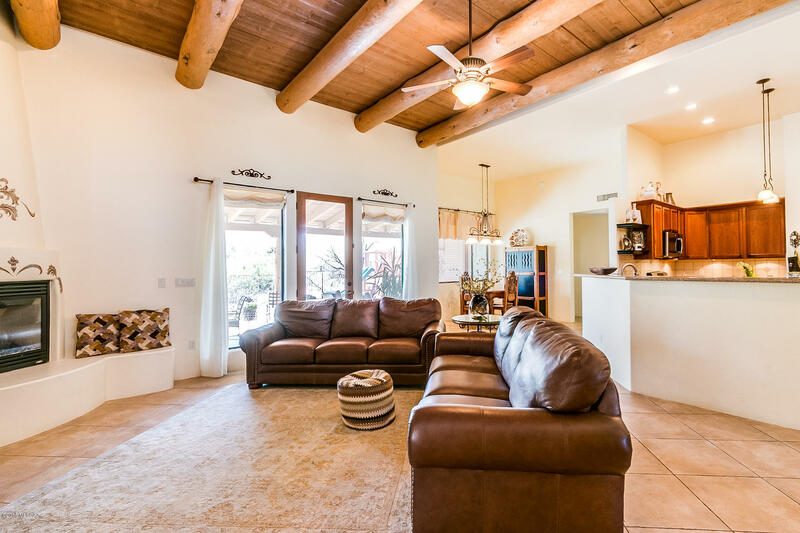 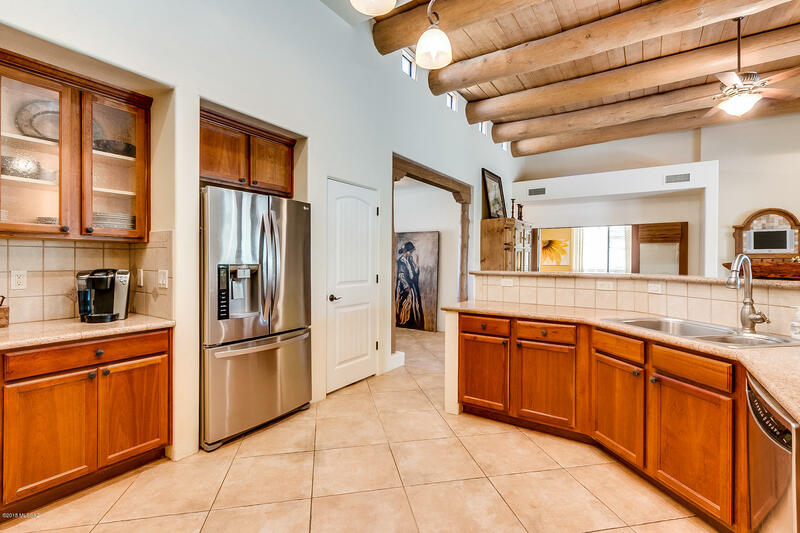 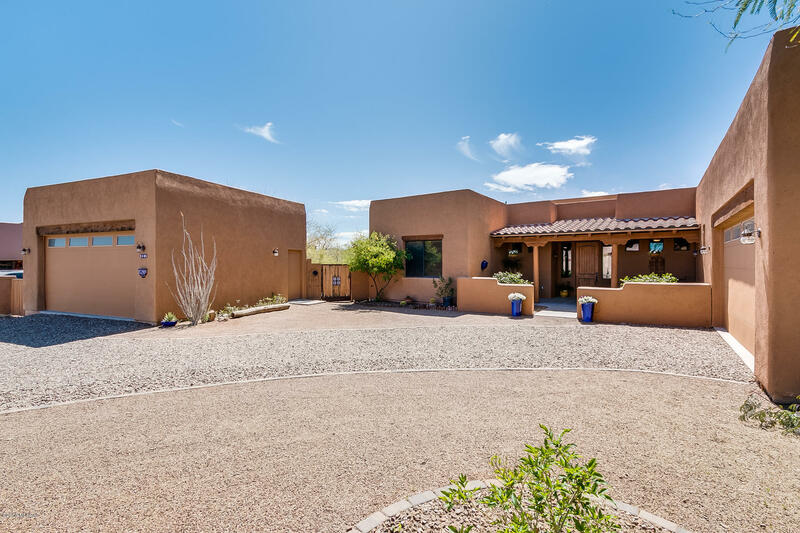 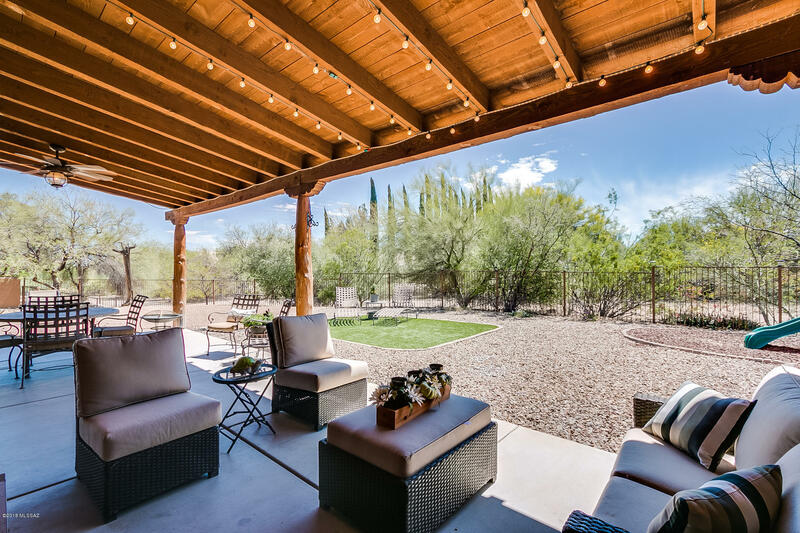 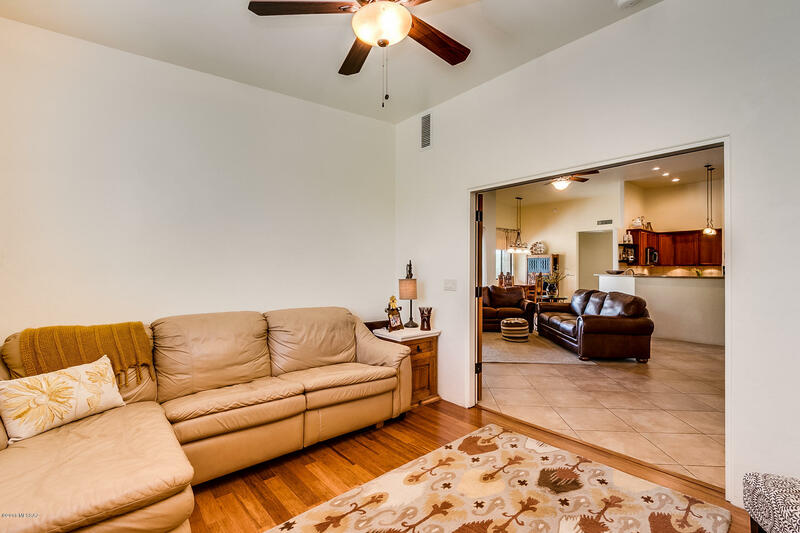 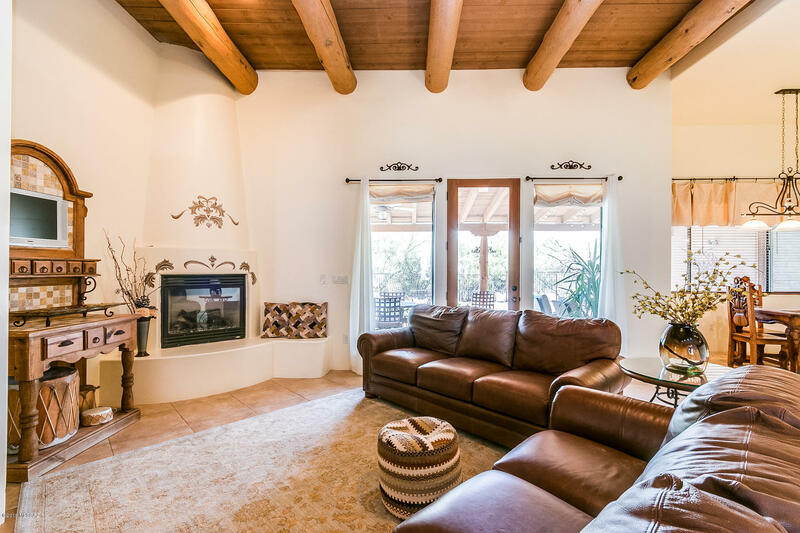 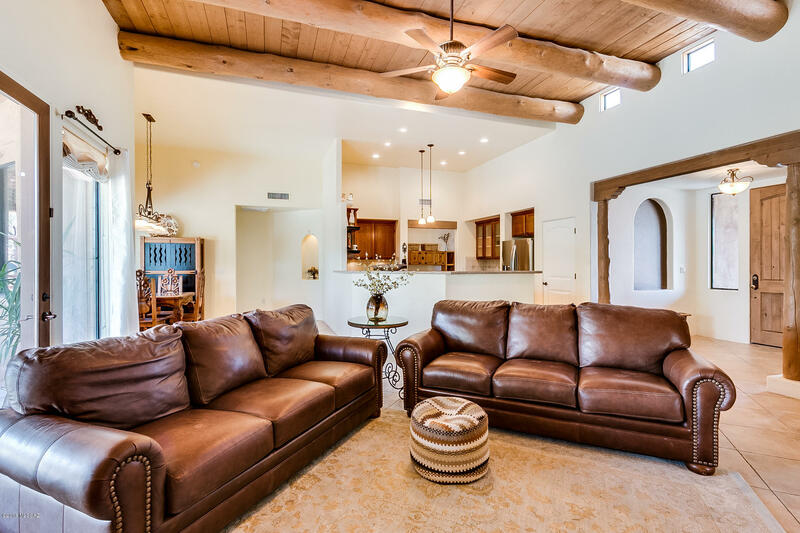 Beautiful, 4 BR + Den, 3 BA semi-custom Santa Fe style home offers plenty of space for the entire family. 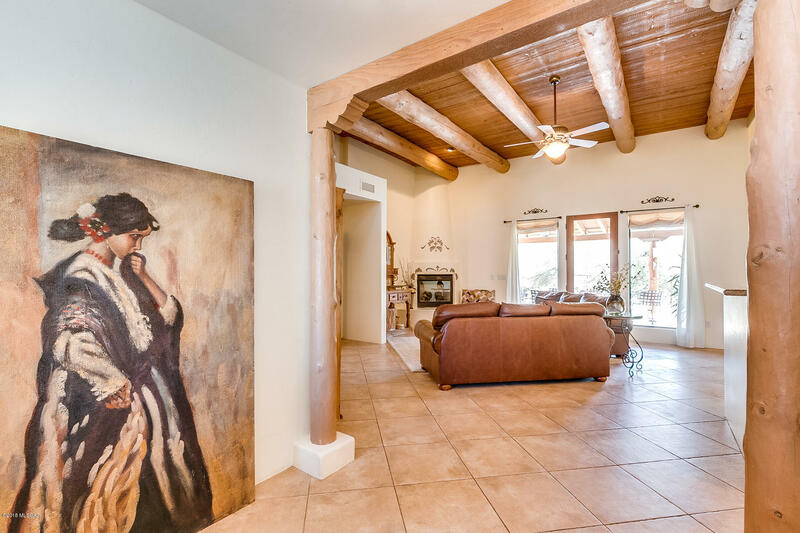 Welcoming courtyard and foyer leads to grand living space, accented by 14' beamed ceilings, gas fireplace, and open concept great room, dining area and kitchen. 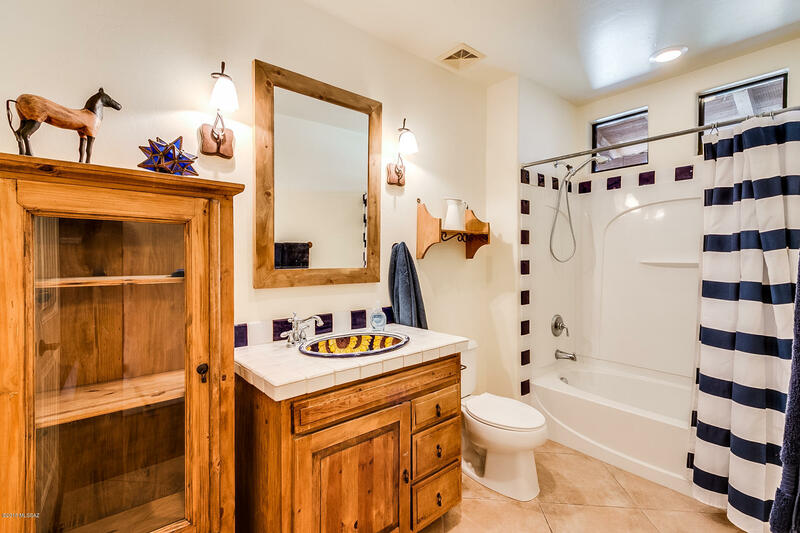 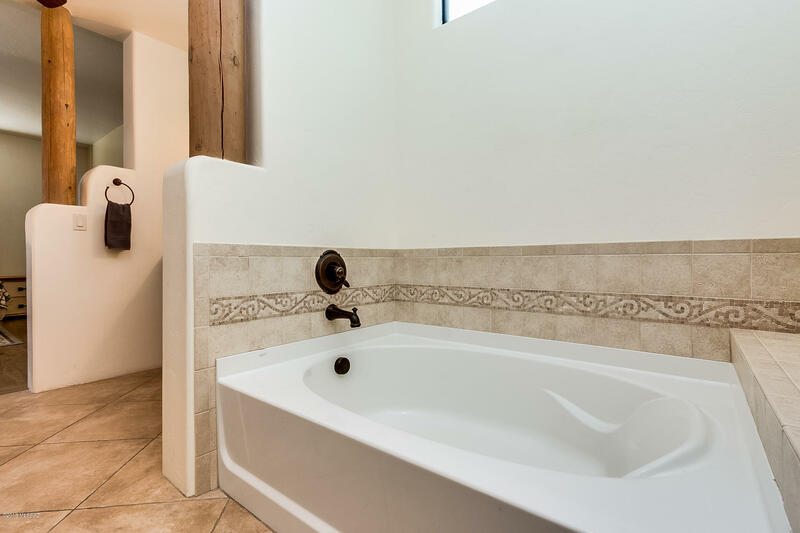 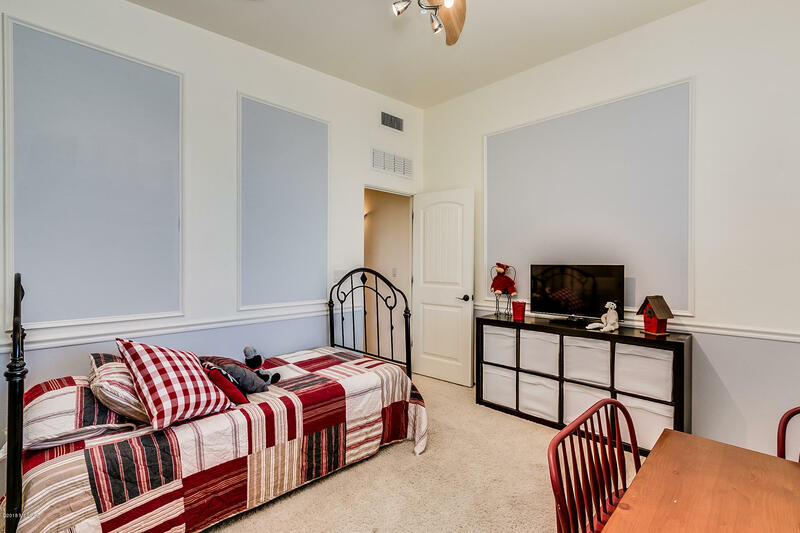 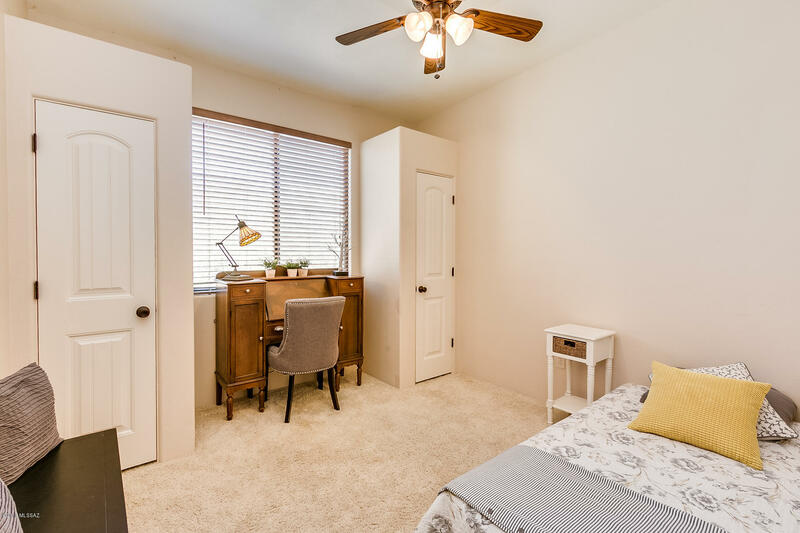 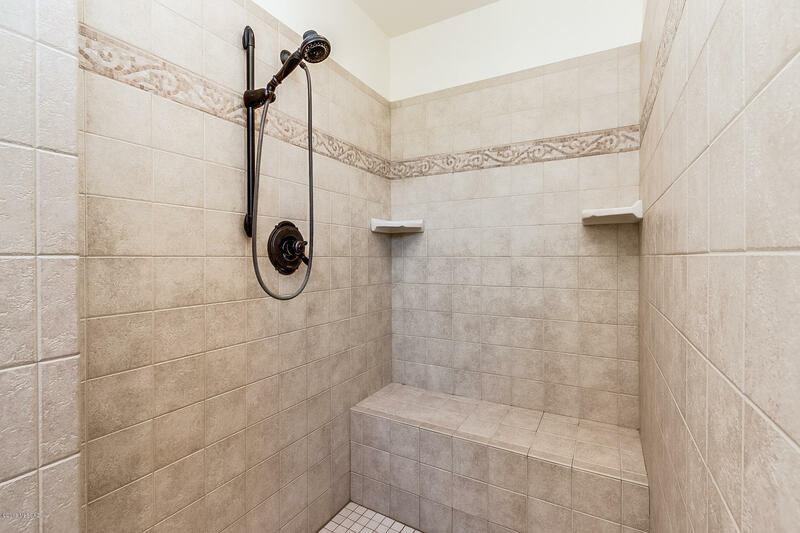 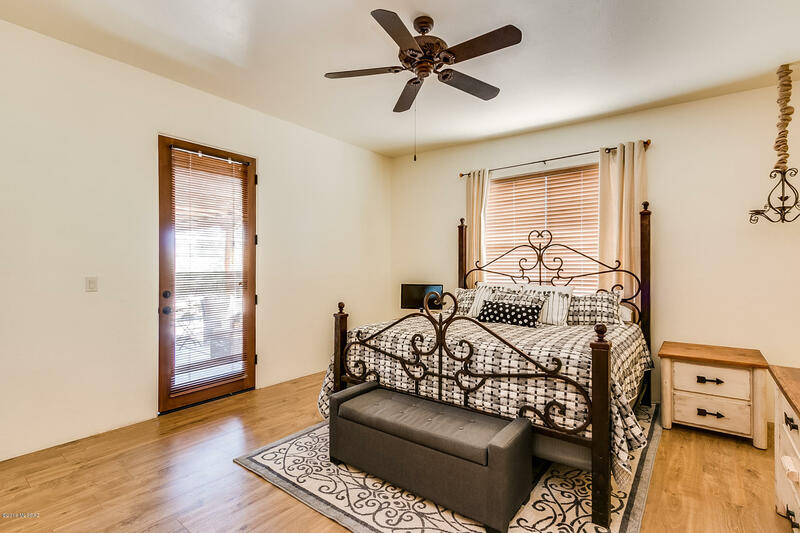 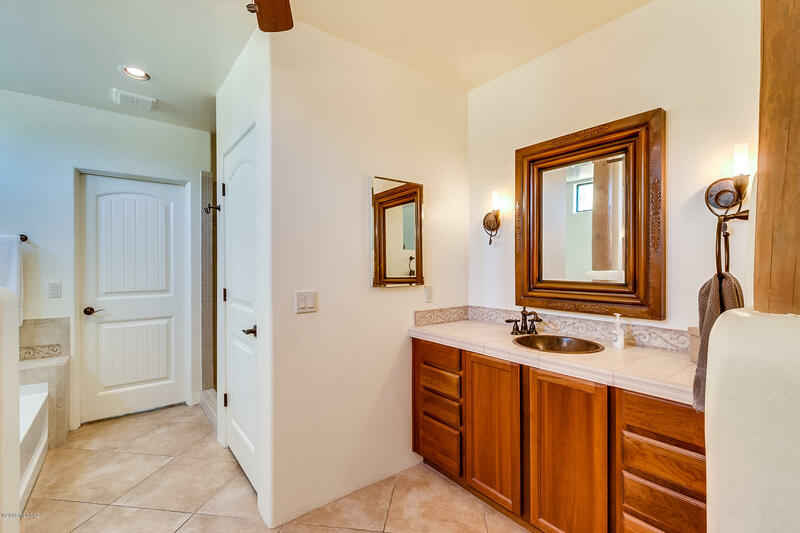 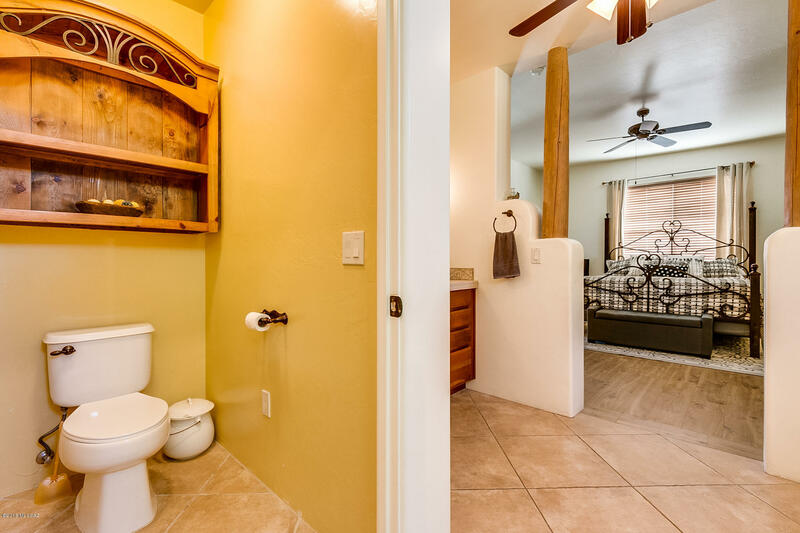 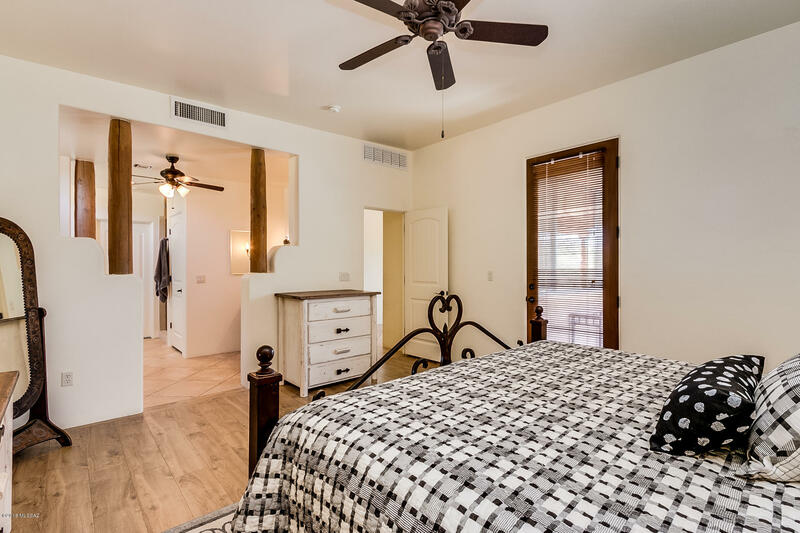 East wing offers den, 2 bedrooms, guest bath; master suite has exec height vanity, separate shower and garden tub; add an in-law suite with walk-in closet, bath and private entry. 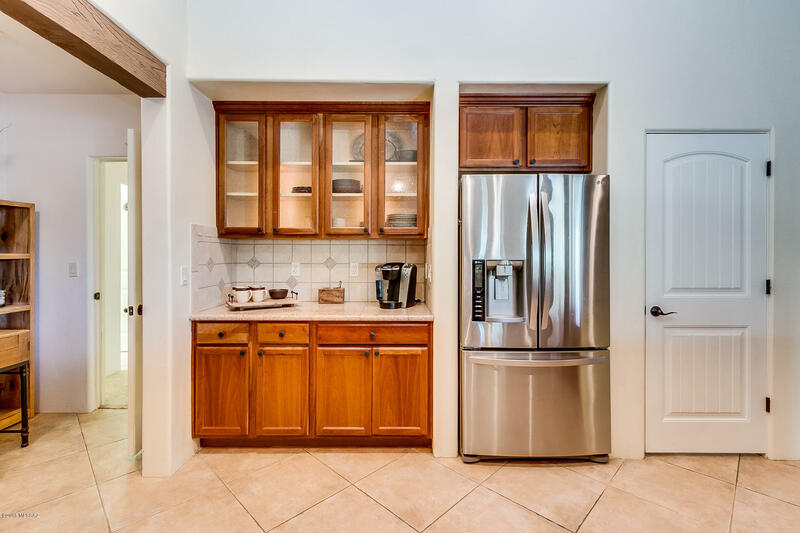 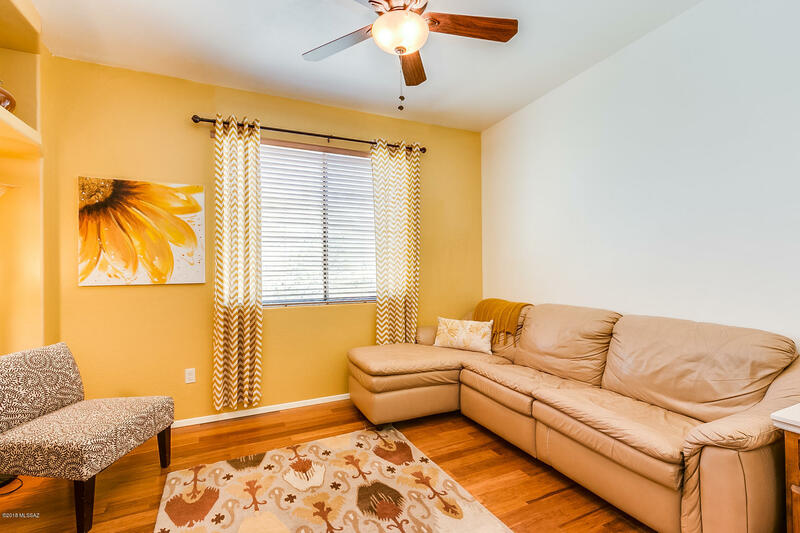 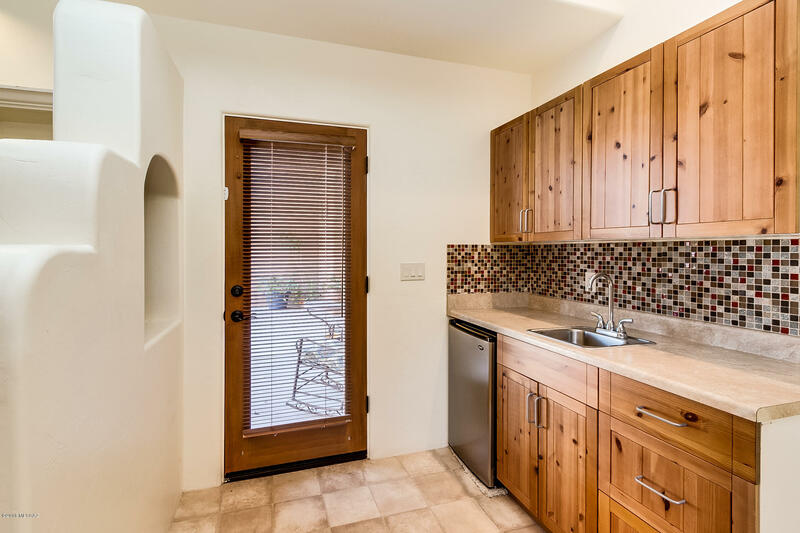 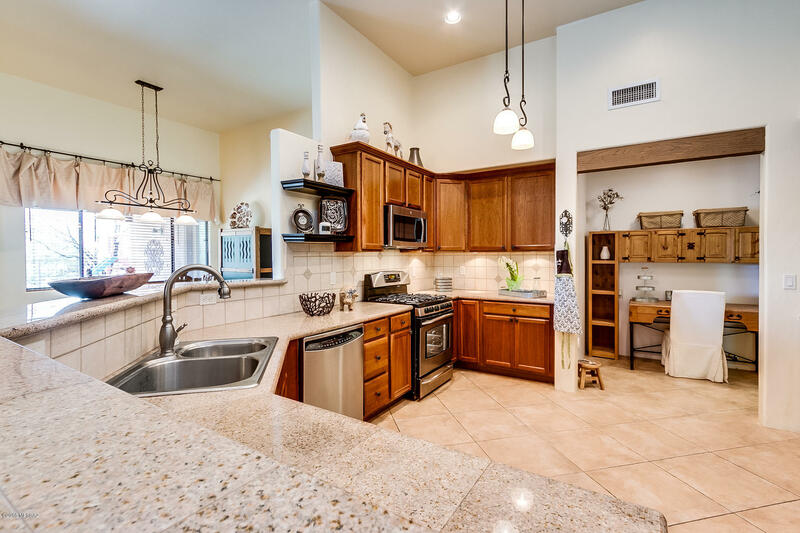 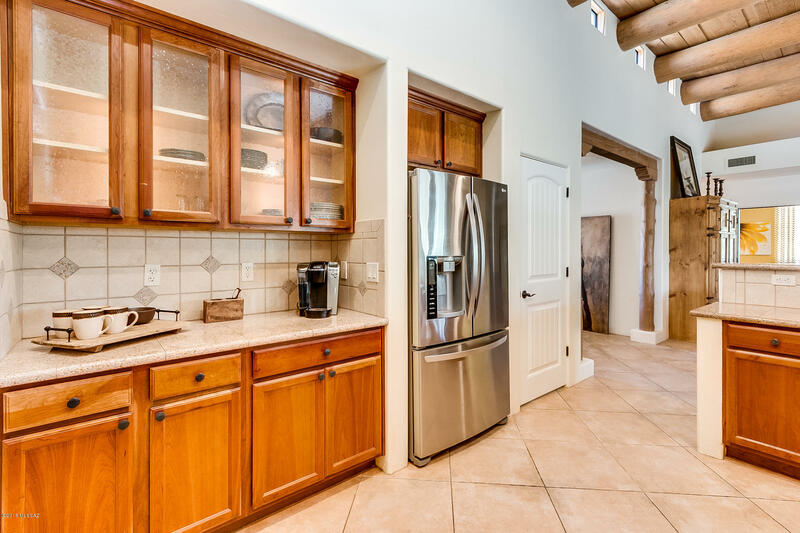 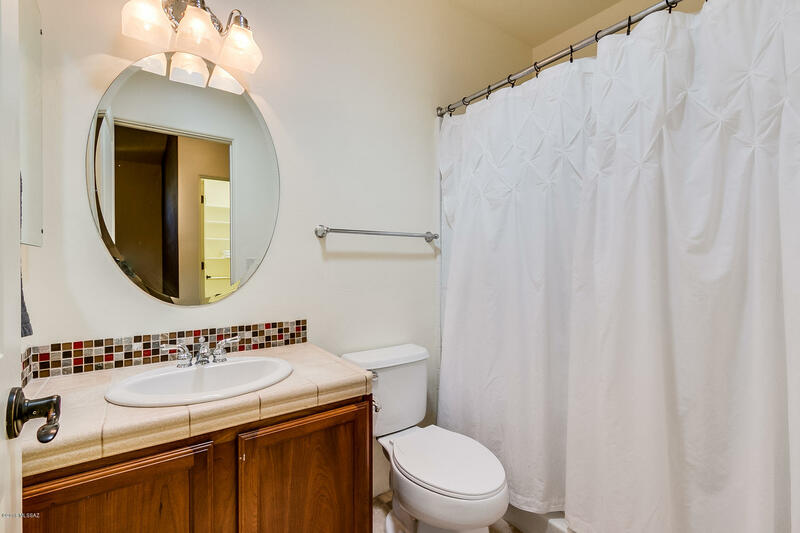 Kitchen has granite tile counters, stainless appliances, gas cooktop range with electric oven, breakfast bar. 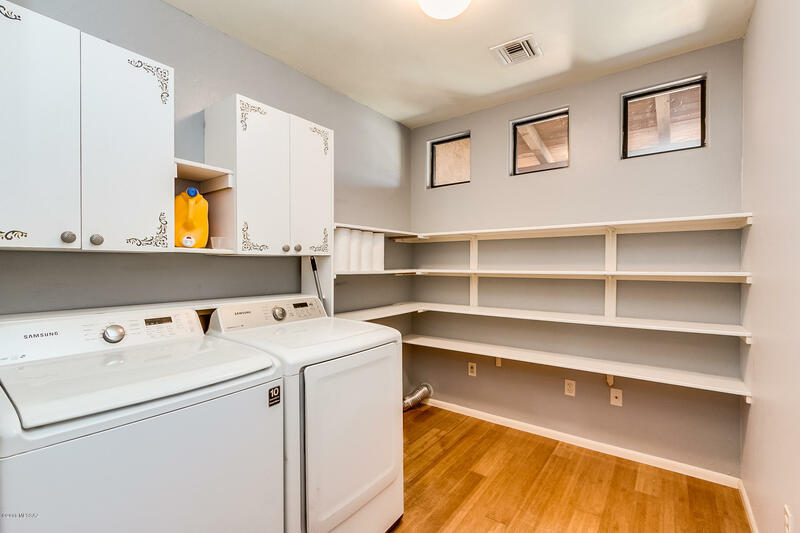 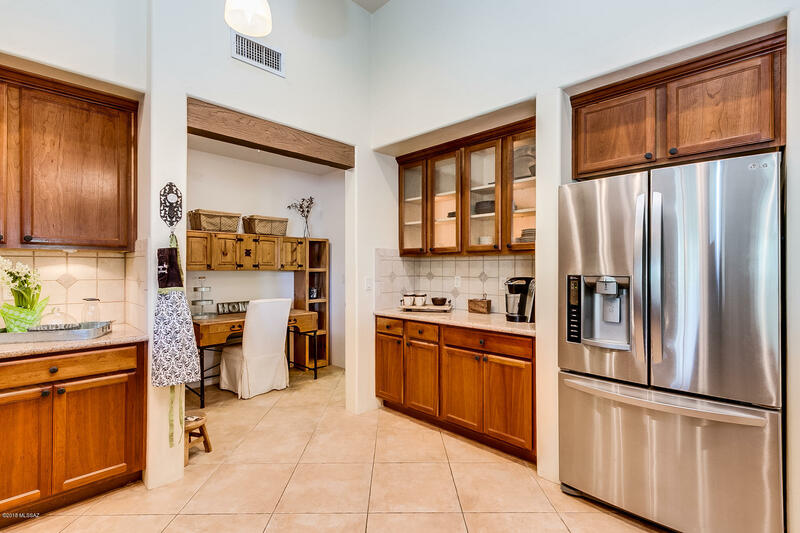 Large laundry room and pantry off kitchen. 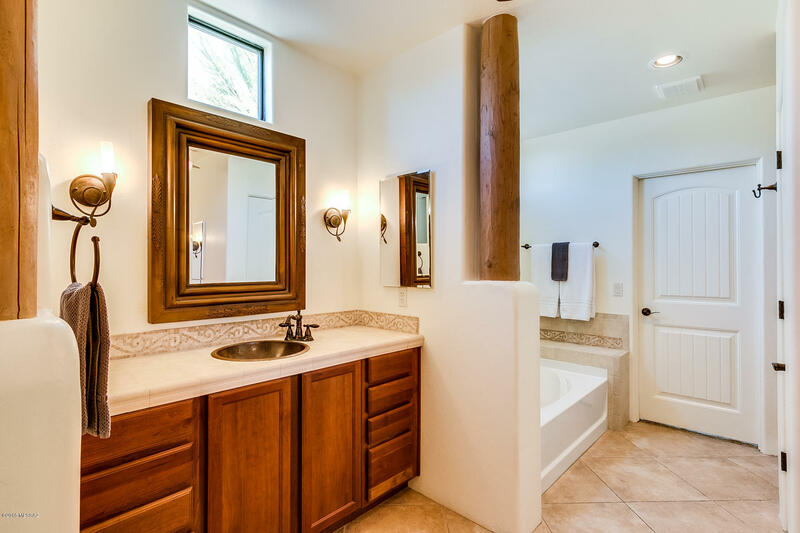 2x6 construction with interior wall insulation. 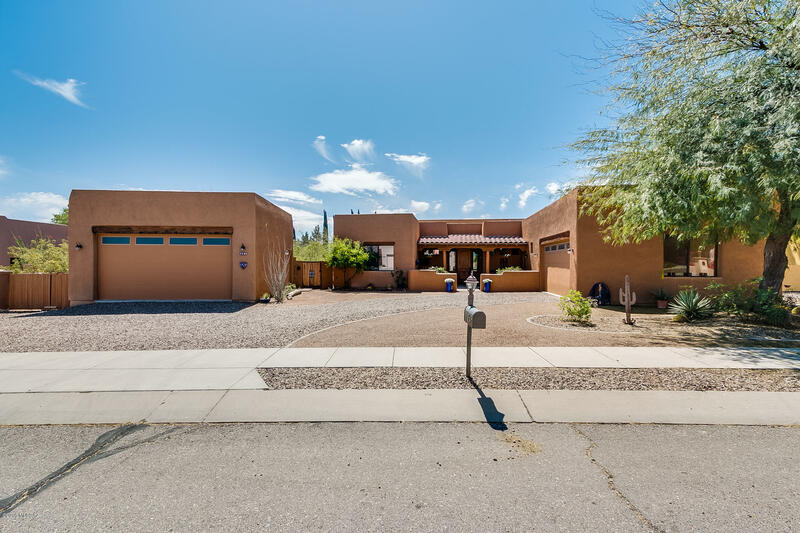 2-car attached garage, +bonus 2-car detached garage. 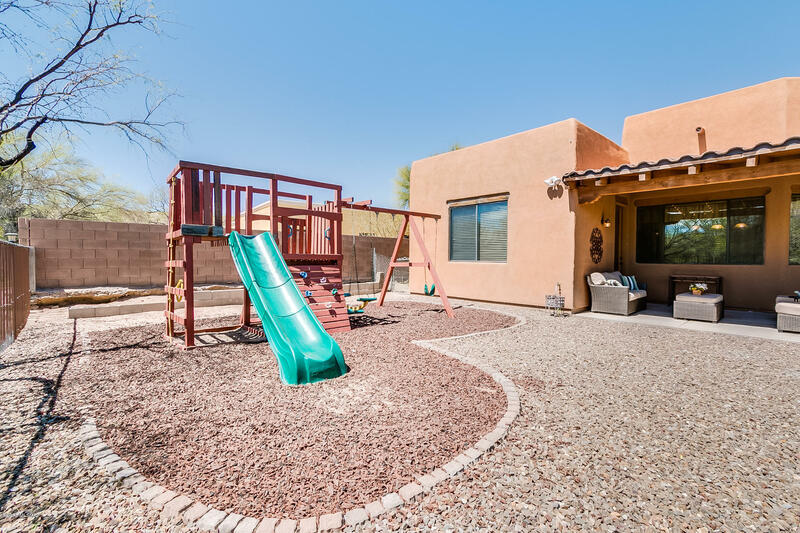 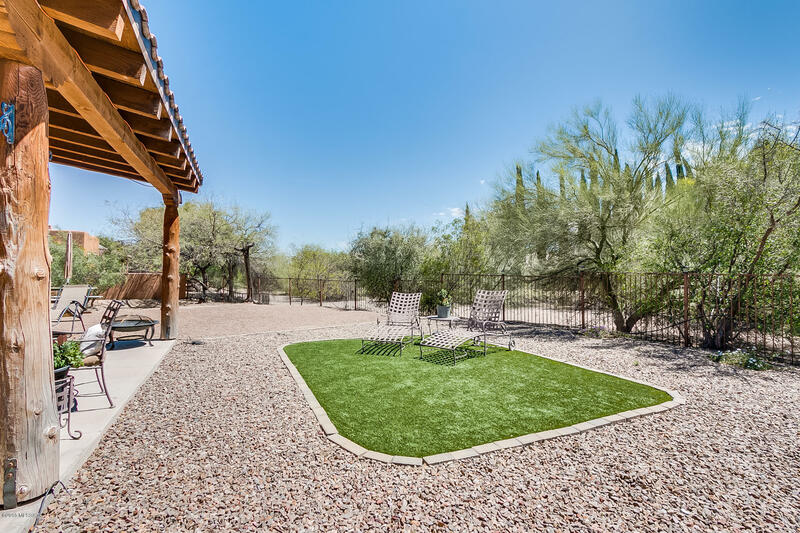 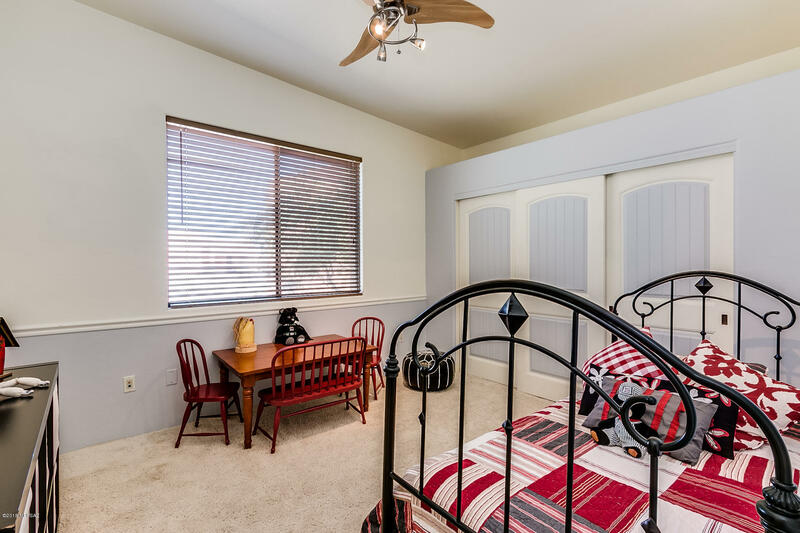 Large 0.32 acre lot, low care landscaping, expansive high beam rear patio, backyard swing set. 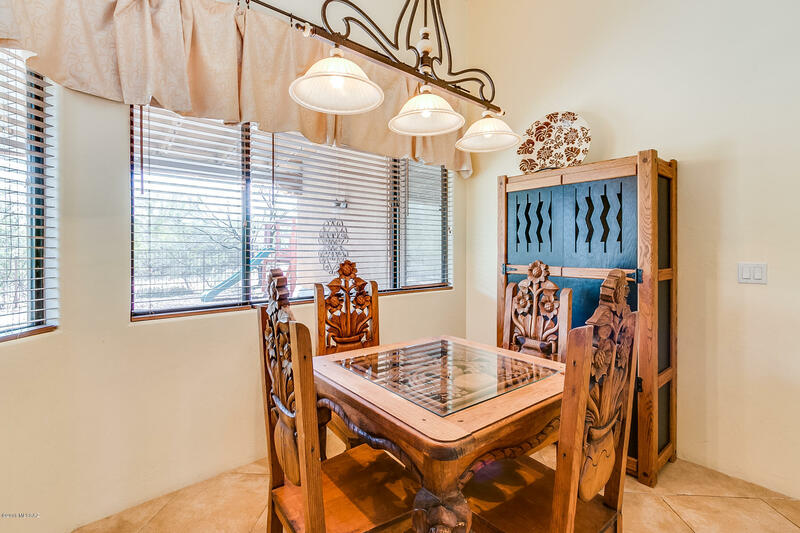 Directions: La Canada to W. Via De Chapala, turn right on Avenida Armoniosa, left on Placita Rio Pecos.